Moti (also spelled Motir) volcano forms a 5 km wide island surrounded by coral reefs north of Makian volcano. 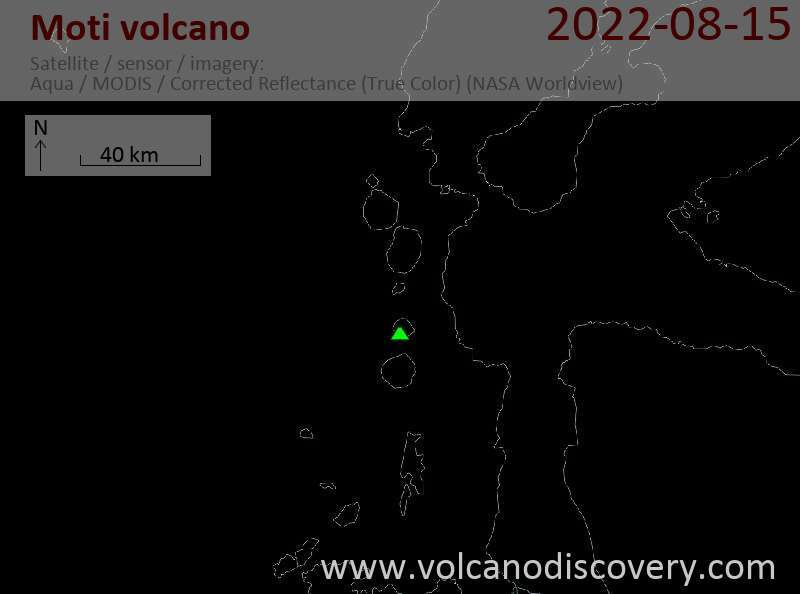 It is part of the N-S aligned chain of volcanoes off the W coast of Halmahera Island, Indonesia. Moti has a truncated conical shape with a crater on the SSW side, and a lava flow is visible on the NW base. The volcano has no confirmed historic activity, although there are reports about a possible small eruption in 1774 or shortly before, although it is likely that this came from its more active neighbor Gamalana.